Based on Sinek's book, Leaders Eat Last: Why Some Teams Pull Together and Others Don't, humans are social animals - it's why we've survived for thousands of years. 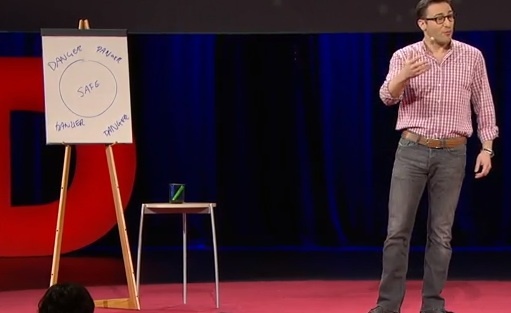 Well-known speaker and Hubspot INBOUND keynote presenter Simon Sinek, author of Leaders Eat Last, is known for using a flip chart in his TED Talk presentations. Danger is all around us, and we come together to fight danger. In business, good people in a bad environment can do bad things because they're instinctively wired to protect themselves. Likewise, bad people can do really good things in a good environment because they are socially connected and working together with others. The pivotal difference in “good environment” or “bad environment” – and which type of environment is created – depends on the leader, or leaders. So how do we, as leaders, create a good environment where more good happens, where people work together to fight for the company? 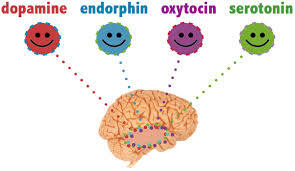 It all comes down to creating an environment where our two “selfish” chemicals – endorphins and dopamine – are inactive, and our two “selfless” chemicals – serotonin and oxytocin – are in full gear. Stimulus activates each of these chemicals, starting with endorphins. Endorphins mask physical pain. I heard about endorphins early on in my running career as the high I’d get after a certain amount of time/miles on the road. While I never really experienced it, I know many others who have – it’s the "runner’s high." Another example was the caveman’s work to go hunt. Dopamine is the chemical that’s activated when you find something you’ve been looking for, complete your to-do list, or hit a strike in bowling. It’s when the caveman finds the food. It tells us to stay focused and keep moving forward. And as visual animals, we like to see the end goal, such as the mile markers along a road race. There are benefits to these chemicals – it kept the caveman hunting, and keeps the exhausted marathoner focused on the finish line. However, it can have its downsides in business. 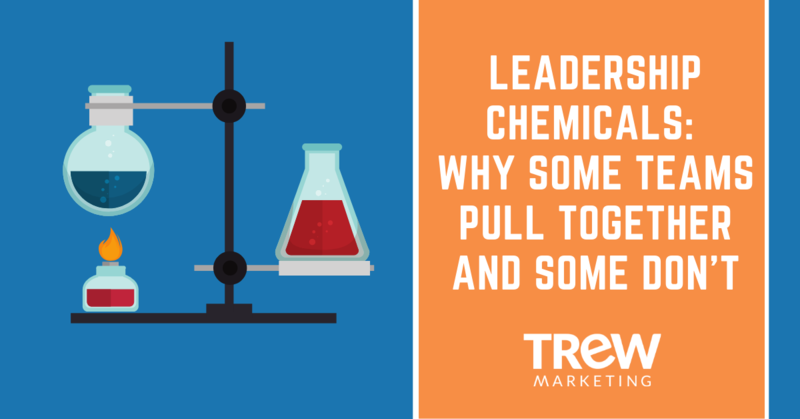 If your company’s culture is metrics and performance-driven to the point where it’s acceptable to sacrifice others to make the numbers, likely you are creating an environment that activates these two selfish chemicals. In these environments, tribal trust is broken and we’re left with a focus on the individual performer, not the company as a whole. You may make the numbers, but nothing more. First serotonin. This chemical is activated when you’re feeling valued, feeling pride. He gave a great example of this with college graduation. Universities could just send an email with your college degree attached as a PDF. But instead, we do commencements, our friends and family come, and graduates start to feel really good. Parents even get a boost of serotonin too because they are proud. In turn, the kids' desire to make their parents, and others, proud is driven by serotonin. In companies that embody this leadership style in their culture, it is one where the company’s leaders are generous, set the tone, and follow the spirit of the Marines motto, “Officers eat last." 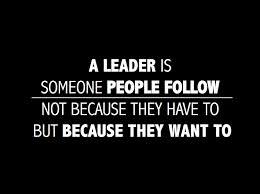 In this culture, leadership is viewed as a responsibility, not a rank, and others become generous and feel responsible for their colleagues and the company. The other selfless chemical is oxytocin, which is the chemical that’s activated when we experience friendship, trust, and even physical touch, and reinforces a relationship and trust. It’s also activated through acts of kindness, including simple gestures such as writing a hand-written letter instead of sending an email. Even though the exact same words can be in both letters, the handwritten one means more because the receiver knows it took more effort. 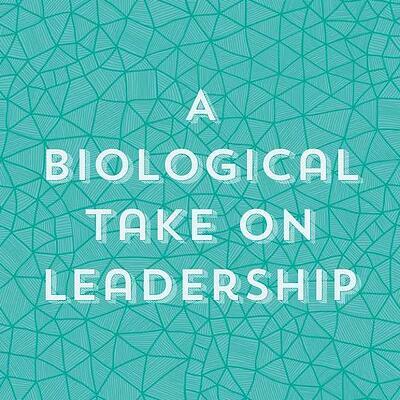 In businesses, oxytocin is powerful because it fosters generosity. And even better – you can get oxytocin by witnessing an act of kindness. 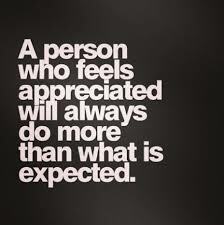 When leaders are generous, trustworthy, and kind, it sets the tone, and others become generous too. In this type of generous, high-trust environment, “selfless” serotonin and oxytocin chemicals run high, leaders rise up to look out for their team, and in turn, people feel valued. The result: magic…and company performance far exceeding what individuals working only toward their specific goals can achieve. In business environments with little or no trust, we humans are on the lookout for danger, keeping files on issues just in case things go wrong, sending CYA emails, etc. In highly metrics-driven organizations, we stay on high alert – we know if we don’t hit our numbers, we may lose our job. We not only have ED selfish chemicals activated, but moreover, cortisol – we are on alert, ready to fight, sacrifice others, and – most damaging – trust no one. The less we fight and flight from danger and each other, and the more we sacrifice for each other, the more we’ll all fight for each other. We’ll experience the selfless chemicals that make us happy, safe, and trusting of others, versus the selfish ones that make us focused on survival and sacrificing others. At TREW, our motto (and the founding of our company name) is Trust Drives Results. We are working hard to create a selfless culture at TREW – one that makes it fun to work here and, as a result, delivers outstanding outcomes for our customers. 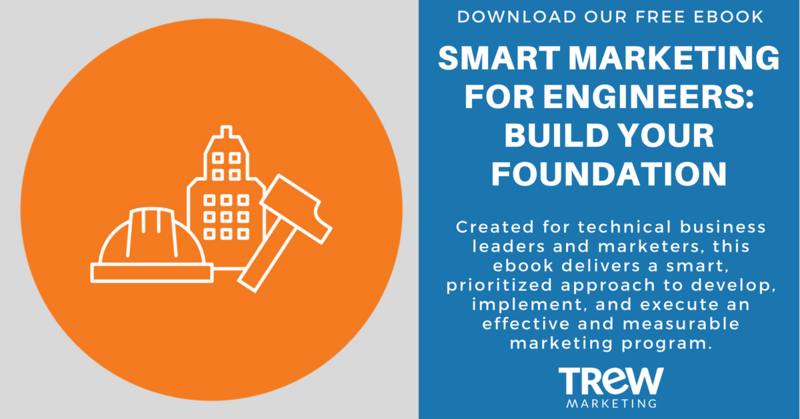 Learn more about leadership and building your foundation by downloading our free ebook, "Smart Marketing for Engineers: Build Your Foundation."